Appearance of Varaha Avatara (Boar Incarnation) ~ The Toronto Hare Krishna Temple! This year, February 11th marks the appearance anniversary of Varaha avatar (Lord Krishna's boar incarnation). As described in the Srimad Bhagavatam, Lord Krishna assumed this form of a gigantic boar to lift the drowning planet Earth from the cosmic ocean with his tusks. A demonic personality had thrown the planet Earth from her orbit into this ocean but the Lord came, as a boar, and saved the Earth. In honour of the appearance of Lord Varahadeva, fasting is observed until noon on Bhaimi Ekadashi (Monday, February 10th, 2014). Responding to their desire, the Lord came to save her. 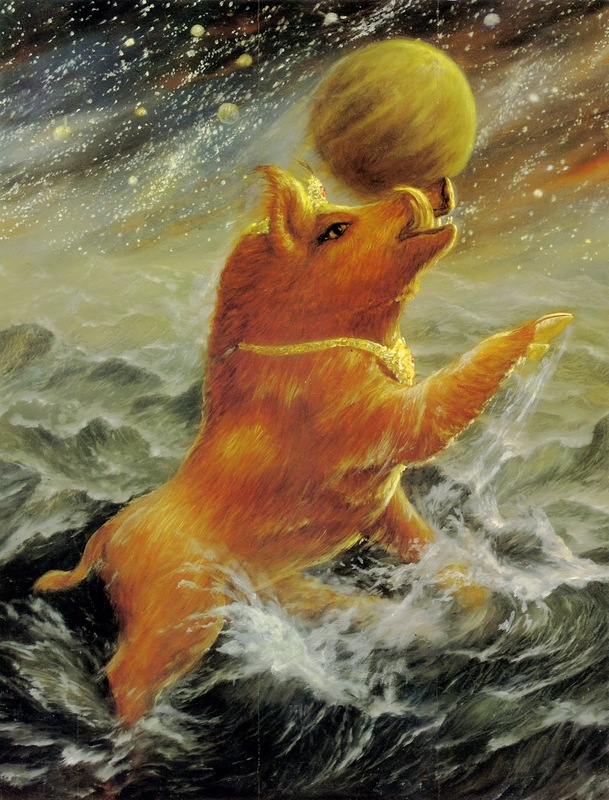 He assumed the form of a splendid, gigantic boar (Varaha), dove to the bottom of the universal ocean, picked up Earth, and gently carried her on His tusks to the water’s surface. As He did so, a great demon challenged Him.